We take your assignment and time seriously. Your paper will always be delivered within your selected deadline. We understand that failing to deliver on times means lost marks, among other inconveniences. All papers are written from scratch to make sure that you will never find a paper that matches yours anywhere around the globe. We owe you privacy and confidentiality regarding any information you share with, whether personal information or information on the assignment. Our website is SSL encrypted to make sure that all your transactions and browsing are secure. 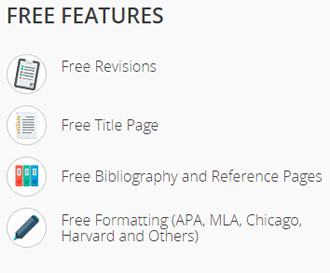 Not only do we promise you free revisions, but the number of amendments offered for free are as many as you feel necessary, as long as the initial instructions submitted with your assignments are not changed. It’s your right to get a high-quality paper that meets all your requirements and value for your money. Therefore, we guarantee you satisfaction when you use our writing service.